The first plastics, created over a century ago, still exist in a landfill or are floating in the Great pacific Gyre sometimes called the Great Pacific Garbage Patch. Leaving them the way they are in the environment or in a landfill can impact our health in a variety of ways. The invention of plastics can be traced as far backs as when wood, steel and rubber got hard to find in World War II. 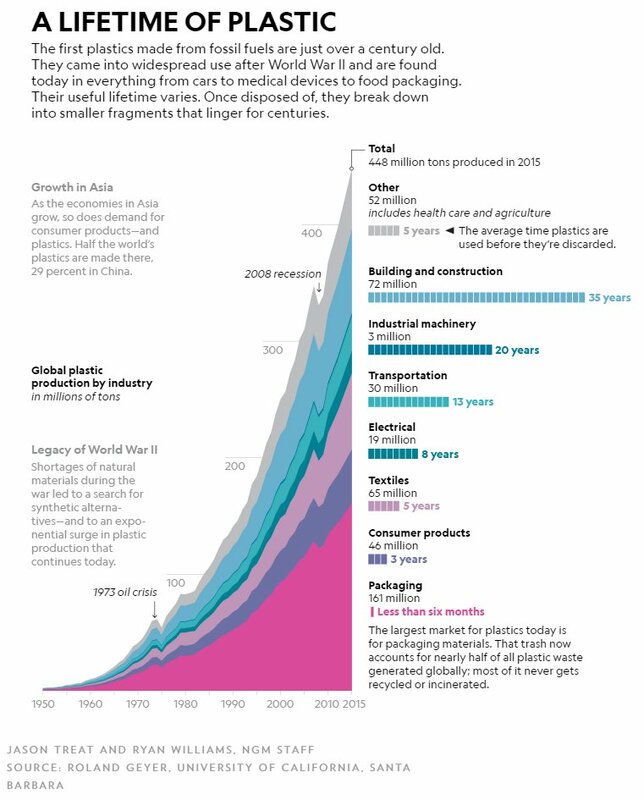 It was at this time that petroleum based plastics were developed as substitutes and have continued to grow exponentially. Can we recycle it?In some cases yes, in many cases not yet. Recyclers are sorting and bundling specialists, they take what they can and resell it. Most of it still goes to the landfill. Only useful if it is in pure resin form, without color and not mixed with additives. The chemical bonds can be broken and encouraged to reform into new compounds, sometimes a catalyst is used. Mostly theoretical at this time, but in limited commercial use to change limited products into even less new uses. Heat or cold can be applied to change the characteristics of the plastics to solid, liquid, gas or sometimes plasma if it is chemically changed at the same time.